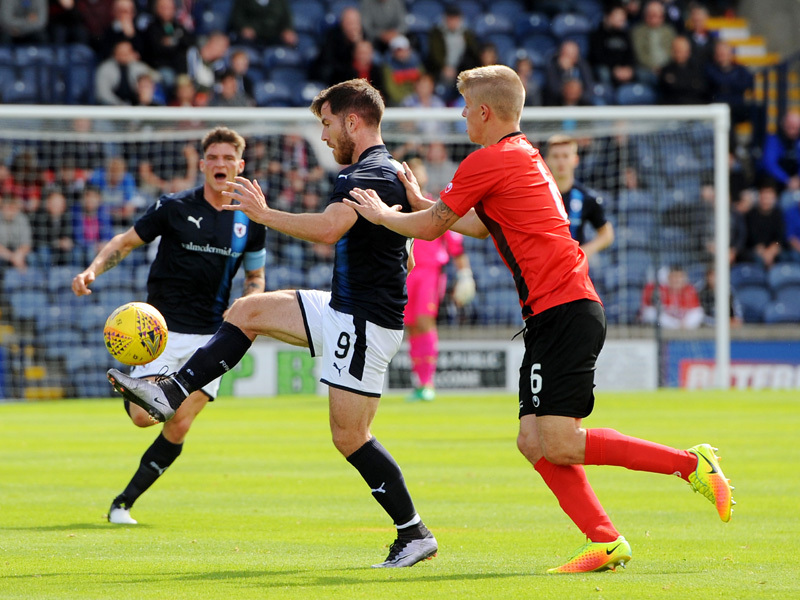 Raith brought their BetFred Cup campaign to a close with an emphatic 2-0 victory over a poor Cowdenbeath side at Starks Park this afternoon. Goals from Lewis Vaughan and Liam Buchanan sealed a victory in a match which was over as a contest well before even the half-time whistle. 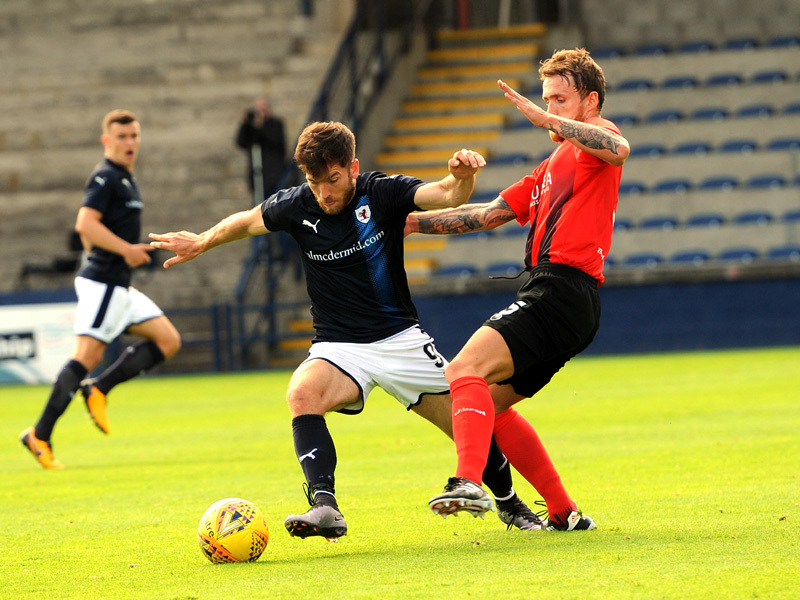 With Barry Smith’s side starting to gel through midfield and upfront, Raith passed the ball well and were unquestionably the hungrier of the two sides throughout. 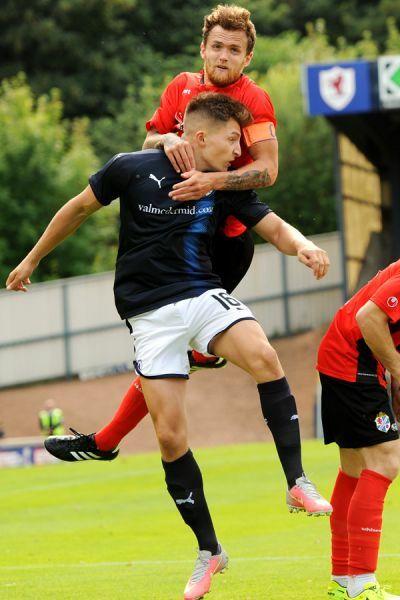 For Raith, a welcome burst of confidence and momentum before next week’s opening League fixture at Alloa; for the visitors Cowdenbeath, this season could be a very long one indeed. 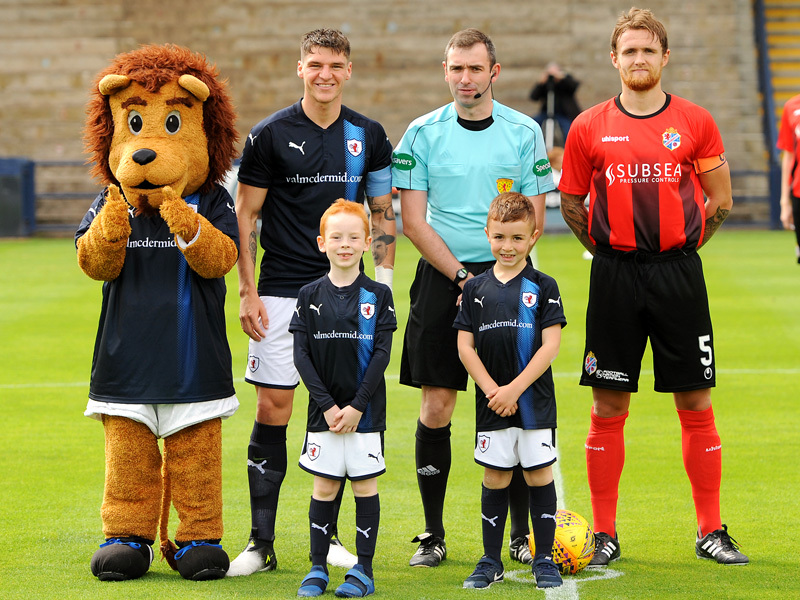 With neither side able to progress in this season’s BetFred competition – each with one win in three in the competition so far – today’s fixture felt on occasion like a pre-season friendly, with a low tempo and played in bright sunshine. Smith made one change, with Ian Davidson dropping to the bench and a start for young defender David McKay. Lewis Vaughan sat behind the front two of Spence and Buchanan. Ross Callachan continued as captain. Last season, Cowdenbeath didn’t have their troubles to seek. 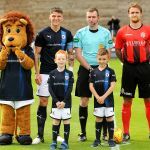 A difficult spell in the management hot seat from Gary Locke saw a string of poor results, league status assured only after a frantic penalty shoot-out win over East Kilbride. 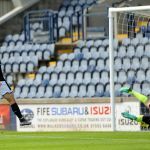 This season’s side has yet to knit together properly – Morris and Muirhead partnered upfront again, with goalkeeper McGovern a diminutive presence between the posts. 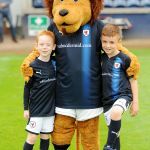 Two heavy BetFred defeats against both Dundee clubs had clearly had an impact on the visitors’ confidence, with a lack of flow through midfield evident from the outset. Raith started very brightly indeed. If manager Smith’s gameplan was to put the match to bed early and earn a more relaxing second-half, the plan worked perfectly – four clear-cut chances were created in the first ten minutes. Raith would be a goal up before the visitors had crossed the half-way line in any meaningful sense. From the outset, Vaughan Buchanan and Spence interlinked well, with neat passes and short sharp bursts creating space. An early one-two between Buchanan and Robertson drew applause, as did Cowdenbeath keeper McGovern’s save to deny the opener. Callachan fed Vaughan, the youngster’s drive blocked clear. With the clock only showing five minutes, Spence’s shot following a Vaughan corner was turned off the line by Mullen. A goal was coming. 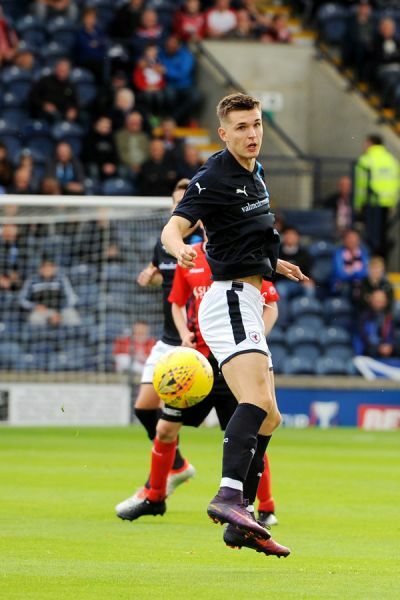 Raith’s early shine was matched by a lethargic showing from their visitors – in the early moments, only Muirhead upfront displayed real appetite. The small group of away fans – housed in the dark recesses of the main stand with the empty North Stand bathed in sunshine – had little to cheer. On eight minutes, Raith went ahead. Callachan found space to nip a neat through ball to Lewis Vaughan, and the Raith striker composed himself and fired a flashing shot into McGovern’s far corner. The lead was clearly deserved. Having taken control of the game early, Raith wouldn’t relinquish control of the game from that point. More pleasing was the appetite Raith had for more. Minutes after the opener, Callachan again burst through midfield and played a slide-rule pass inside centre-halves Rumsby and Syme, allowing Buchanan to jink in ahead of McGovern advancing from his line – Buchanan’s cut-back from a narrow angle was cleared away. 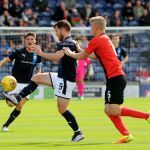 Although Cowdenbeath offered little in central areas, there was no denying Raith were brimming with confidence in the opening half. Robertson and Callachan seemed to gel particularly well – the former wisely stroking the ball left and right and showing a spritely turn of pace to dictate the direction of travel; the newly-installed young captain was more bravado and bluster, running at men, and driving forward at pace. 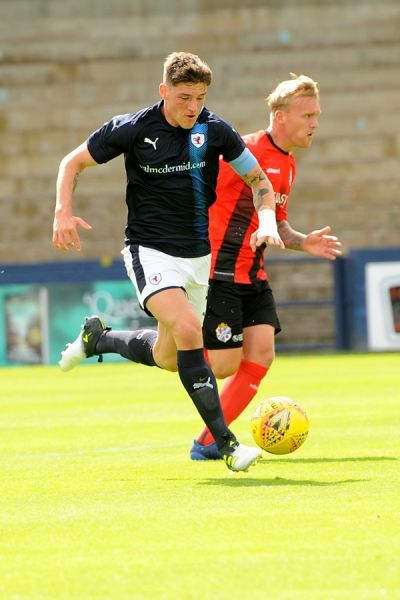 Callachan also combined well with Jason Thomson running from right-back – although Thomson clearly has reduced top speed from several years ago, his combination play with Callachan was a problem Cowdenbeath didn’t solve for the full ninety minutes. Robertson shot low at McGovern after quarter of an hour; Callachan’s back-heel freed Vaughan to fire another effort goal-bound minutes later. Callachan’s range of passing looks also to have improved – although perhaps confidence is the sole reason for a quality which has been underused in recent, more troubled, times. Like a patient and experienced NFL quarterback, Callachan now moderates his use of the deep ball – he threw a hail-mary deep beyond left-back Rutherford on twenty minutes, finding Buchanan in space to launch another attack on McGovern’s goal – Rutherford’s frustration nearly resulting in the match’s only booking after a couple of late lunges in the minutes that followed. On the half-hour, Raith extended their lead with a lovely passing movement. 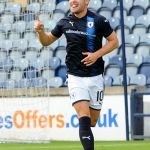 While the goal looked deceptively simple – Matthews’ cross, Spence’s nod back, and Liam Buchanan’s finish – Raith had strung together numerous passes, exercised patience, and struck quickly and with style. The smiles on the players’ faces told its own story. Ross Matthews brought the half to a close with a rasping drive from his wide-left berth – his shot fizzing just over McGovern’s cross-bar. Visiting manager Billy Brown no doubt sought a reaction from his troops after half-time. 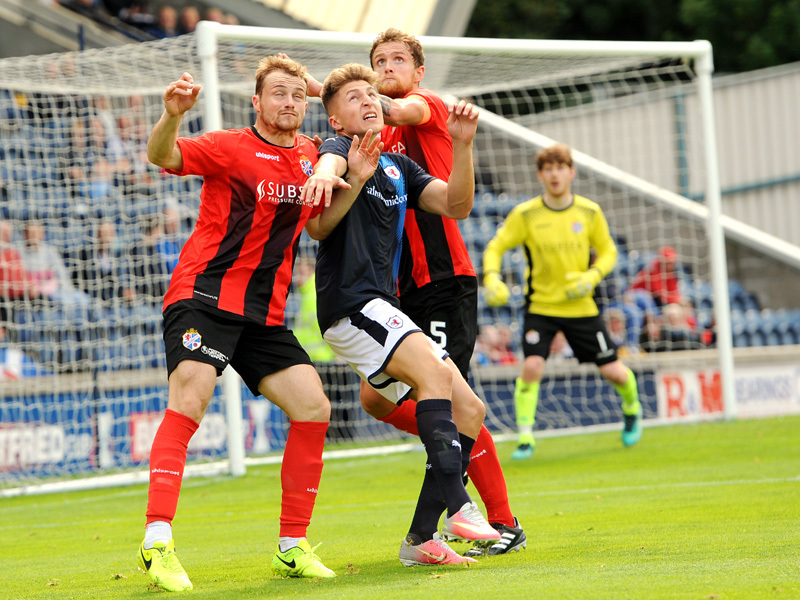 McInally and Muirhead exchanged passes, with Ross Matthews looking lively to block a goal-bound effort. Callachan was robbed by Swann, with the midfielder leaving his opposite numbers trailing in his wake before running out of steam, allowing Lennox to gather at his near-post. The tempo of the match dropped noticeably as the second-half wore on. Rumsby seemed to have two hands on Spence’s shoulders in defending a whipped Vaughan centre – the referee saw no offence. Within seconds, the big defender showed no little skill under pressure, back-flicking substitute Bobby Barr’s cross out of his own six-yard box. 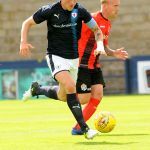 Jason Thomson was next to test the Cowdenbeath defence – with one run, the former captain weaved inside, stepped off both feet, and only narrowly failed to find a forward to apply the finishing touch. A minute later, a deeper cross evaded all-comers, dipping onto the roof of McGovern’s net. As many early-season games do, tempers frayed slightly nearing the end. Vaughan’s lovely turn and nutmeg on the far touch-line was rewarded with a clatter from Rutherford, Mullen jumped into Benedictus in the box, and the South Stand erupted with two penalty shouts in five seconds, both Spence and Vaughan unceremoniously dumped into the Starks Park turf. The referee’s reluctance to blow his whistle lead to unseemly pushing and shoving, as temperatures rose. The match wound down to a conclusion in the last ten minutes. 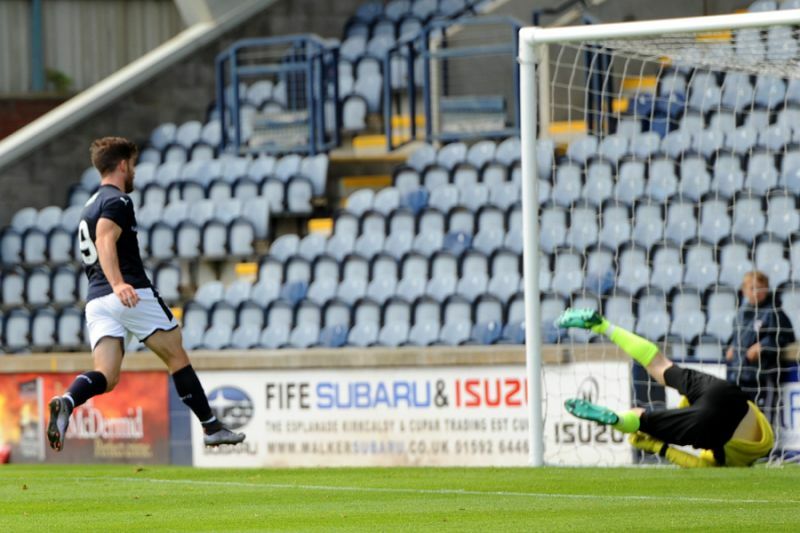 With the score-line not in doubt, and Raith having replaced all three strikers to applause from the home support, it was substitute Yaw Osei who shone most brightly – his driven cross-shot from the tightest of angles whizzing inches beyond McGovern’s far-post. Barr’s shot and Callachan’s drive both drew late saves from the Cowdenbeath keeper. The margin of victory stayed at two, but could have been several goals greater. 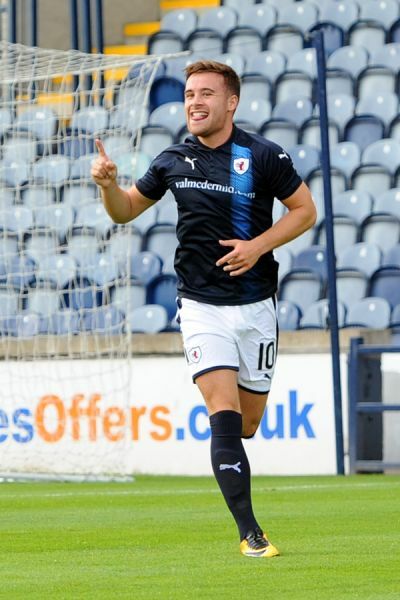 An efficient and in places stylish victory for Raith fans to mull over as August approaches and the League campaign begins in earnest with next week’s trip to Alloa. Sterner opposition will be encountered soon, so lessons may be difficult to draw from Tuesday’s and Saturday’s victories. 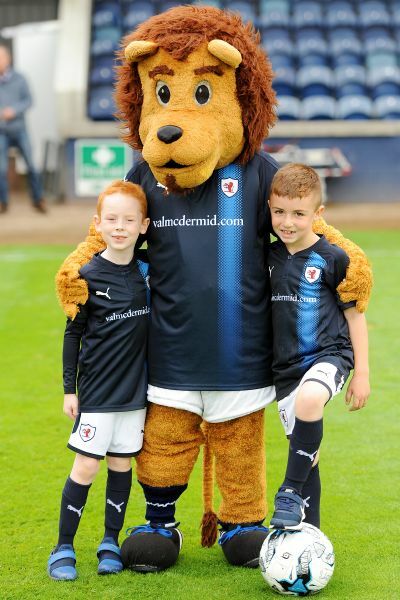 However, while not progressing through the group stages of the BetFred Cup may strike some as a disappointment, a pragmatic view would be that the Cup has served its purpose – experienced opposition have shown the heights which Raith can aspire to this season, and two inferior opponents have been dispatched with clean and concise passing, excellent team play, and no fewer than eight goals. 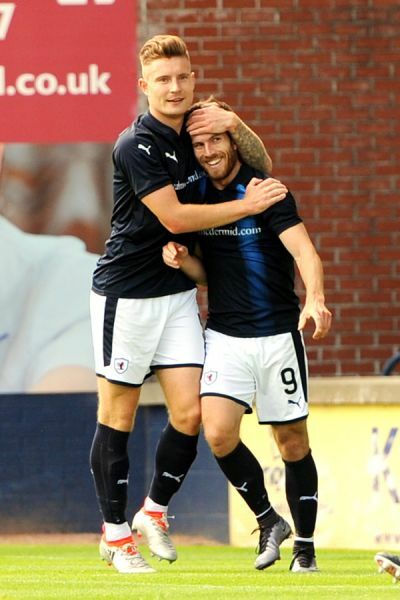 Raith take well-earned confidence into next week. Seagulls are swooping into the South Stand. Thomson runs across the edge of the Cowden box. He could shoot with his left and he didn't pass to Spence. Vaughan turns a Cowden player and is fouled in the box. No penalty says the ref. Oh.. nearly stunning goal from Osei. 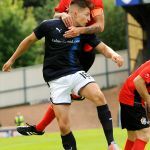 Raith Rovers and Cowdenbeath will bring a close to their Betfred League Cup campaign this weekend, when the two meet at Stark’s Park this Saturday. With both teams picking up just one win from their first three matches, neither can progress to the knockout phase, although whoever wins on Saturday will finish third, taking the additional prize money that comes with it. The two teams were in action in midweek, and while Rovers were racking up the goals at Buckie, Billy Brown’s team experienced contrasting fortunes at Central Park, where a first-half hat-trick from Sofien Moussa, condemned the Blue Brazil to a 3-0 defeat. After taking over from Gary Locke this summer, Billy Brown has attempted to rebuild a side which only managed to stay in the league last term, thanks to a penalty shoot-out win over East Kilbride in the League Two play-off. With David McGurn picking up an injury which may rule him out of this one, two goalkeepers have been brought in, with Joe McGovern arriving from Forfar, as well as Blair Penman, who’s just been released by Celtic. Defender, David Syme signed permanently after his loan spell from Raith last term, and he could be joined at the back by John Ovenstone, who’s been snapped up from Tayport in a player/coach position. 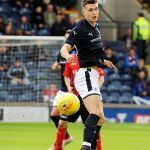 Nineteen year-old right-back, Matthew McInally could also feature, after he was picked up following a spell with Partick Thistle. Midfielders Robbie Buchanan and Jack Whittaker were acquired after they left Hearts and Kilmarnock respectively, while prolific striker, Josh Morris was signed from Hawick Royal Albert. 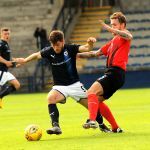 These two sides last met in July 2015, when a Lewis Vaughan goal was all that separated them in a Challenge Cup tie at Central Park, but it was a different story when they last played at Stark’s Park in April 2015, when a Colin Nish hat-trick secured an impressive 3-1 win for the Blue Brazil. The recent head-to-head is reasonably even Steven, with Rovers picking up five wins from the last ten meetings, compared to Cowdenbeath’s four.